Just got this LP Standard . Sorry for the late reply. It's an 03 Standard. It has Burstbucker Pro's in, though you wouldn't know it. The pickups sound like Tony Iommi's SG, they're monstrous, the deepest sound I've heard on a guitar. I'm thinking of changing the caps to Vitamin Q .022s and see what that does. Got another one yesterday too. What particular flavor of sunburst do they call that? Very nice. Sort of antique honey? It's called trans amber burst. It's got a lovely figured ripple maple cap. Les Pauls rock! 1982 Rickenacker 620/12 FG (think Damn the Torpedos Tom Petty) - yes, yet another electic 12 string except solid body. I realize this isn't the mega-store that Matt has, but these guitars have seen a lot of action in all the groups I was in. Of course, that was a long time ago in galaxy far, far away... cue the them music. I was surprised to see we have musicians as well as Lotus people on this forum. welcome to the forum. That PRS sounds nice. Any pictures of your nice collection? Also post up a message in the introductions section too. Okay. Here we go with the pictures of my guitars. Please note my 620/12 FG I let my Rush/Yes brother borrow it for the time being. The Lotus logo behind the guitars was gift for my 50th birthday by my neighbor. Enjoy! BTW...Finally here's a picture of my Yellow 91 Esprit and my brother has the exact same Esprit (except his is 1990) same color, but he says in 1990 Yellow was a custom color so they are not the exact same color. Great collection and love that PRS. That's a beautiful cap, is it maple? Nice original looking SE too. Sorry, Yes, the PRS top is probably 10+ and it is TIger Striped Maple with a Mahogany back and neck with the dah Birds. You would need to refer to the Private Stock grades. Once I got this one it replaced my Fender Heavy Metal Strat and Fender Telecaster Black/Gold edition. Fender Tele Blk/Gold edition (traded it for Steinberger with the Trans Tremolo when it was the "in" guitar) - Bad decision! Rickenbacker 325/12 Jet-Glo or Black(John Lennon 3/4 scale 12 string and before the Signature model) stayed in tune and was surprisely easy to play (smal hands). One of the only guitars I made money selling. Everything else I lost my shirt on. I worked for Rickenbacker for 3 years so hence the reason for more Rics than PRS. I was in the Maldives last month and met a UK bed and breakfast owner who ask me how many guitars I had. I orginally mistakenly said 50 and then backed the truck up and counted. Currently, I'm at 20 present, present guitars. Oh I have an Ovation Custom Balladeer which I also gave to my brother in law since he had an Applause guitar (which are God awful). I got tired of listening to his horrible Applause guitar. Ovation should have never produced these things. Okay. I had to add my Avatar and signature line. Sort of butchered it, but in a rush. That's very interesting. Is that a Taylor, Ovation and Fender case next to it? I don't travel too much and I'm not sure I would take any one of my guitars with me on airplane unless it goes in cabin. I actually played this weekend sort of. Used a friends Stratocaster. It's hard to play the opening riff of "The Spirit of Radio" with those 3 pickups in the way! Hi - no, two Taylors and one Lowden..! I was thinking about getting a custom T5 acoustic/electic, but then I picked up the car. In fact, the wife would have been happier that I get the guitar (fully decked out) instead of the car. But at least she likes the color. She thinks it's goes too fast, but that's the illusion of being low to the ground. And as to the illusion of speed, nah, it's fast - the lack of height just helps! I noticed your Exige-very nice! I have one black Exige in my town as far I as know. Since I'm in Valparasio, IN (think snow belt by Chicago) our cars are not things you see too often. I have not seen it close up, but I hope to see one soon when I take my car in for it's "C" service. Currently, my mileage is 29,000 miles. However, the dealership may only have Evoras since I'm not sure if they'll sell the track versions of the Elise and Exige. 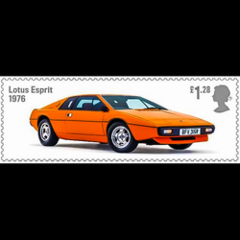 I'm sure you see more Lotus cars (since you live in the land of Lotus) than I do. When I lived in Newport Beach, CA I saw them more often - mostly because I was visiting the dealership almost every week wondering how the hell I could even buy one. It's a bit cold where you are at the moment eh? Hope you're coping with the snow ok! I wouldn't be surprised if Lotus are working on making the Exige road-legal in the States, so you might be seeing more soon. It really is an awesome car. And yeah, we come from the land of Lotus, but you come from the land of Taylor, Martin, Gibson, Fender, etc, etc...And you should see the price of those guitars here! But you come from the land of Lennon and McCartney. That trumps ANYTHING that America can produce in any shape or form. I drink British tea, drive a British car, maybe I'll defect to the U.K. even though I would probably crash my British car the first day going the wrong way on a roundabout. The true Legends come from the U.K. both music and cars. However, I'm proud that Ford produced the GT40 (one of the few America cars aside from Shelby GT500 Mustangs) that we can call legendary. Okay, Tesla (but they sorta ripped off the Elise for their car) is good as well. I'm probably forget some cars, but you get my point. You guys rock. And you come from the land of Dylan. Let's agree that we both come from the two of the greatest countries in the world! Okay. That's fair. I just googled the Tesla Roadster only to find out it's a Lotus Elise Glider. I wondered why I liked it so much when it came out! There's some cracking guitars on here! I've had various over the years but only kept one when we moved to France all 23 years ago. Its a '79 trapeze tail ES-355 that I bought in 1981. I believe its one of the last that had the switchable split coil humbuckers. A collector friend has been pestering me for years to sell - but its a keeper. I much prefer the red wine finish to the normal cherry or sunburst that are more common. That's a classy looking thing! Must be worth a bob or two. Well I paid 450 for it in 81 and the tech who serviced it a few years ago told me to insure it for ten times that amount!